"In the early days, Neville [Longbottom] and I were not very dissimilar – I was a short, chubby, shy kid, just like he was. As he evolved and matured, so did I." In 2000, movie studios announced turning Harry Potter into film adaptations. At age 11, being a fan of the book series, Lewis discovered that there were auditions taking place in his hometown. Having scored a few television parts and commercials, Lewis knew he wanted to try out. Queuing for almost five hours with his mother to audition, Lewis along with other aspiring child actors were instructed to read a paragraph from Harry Potter and the Sorcerer's Stone in front of a camera. Two months went by before Lewis was contacted to meet director Christopher Columbus and was offered the part of Neville Longbottom. In Sorcerer's Stone we're introduced to Neville as the bumbling Gryffindor Student. He's not very apt at spells or charms and a bit forgetful. But Longbottom grows on our hearts when he shakily stands up to friends Harry, Ron, and Hermione before they go in search of the sorcerer's stone. The character of Neville Longbottom in the movies is much more minimized compared to the actual text of the series. We only glean bits and pieces of this introverted student, but he remains among our many favorite background characters. Fans growing up could identify with the boy on and off the screen who was simply misunderstood, quiet, and a bit of a loner. 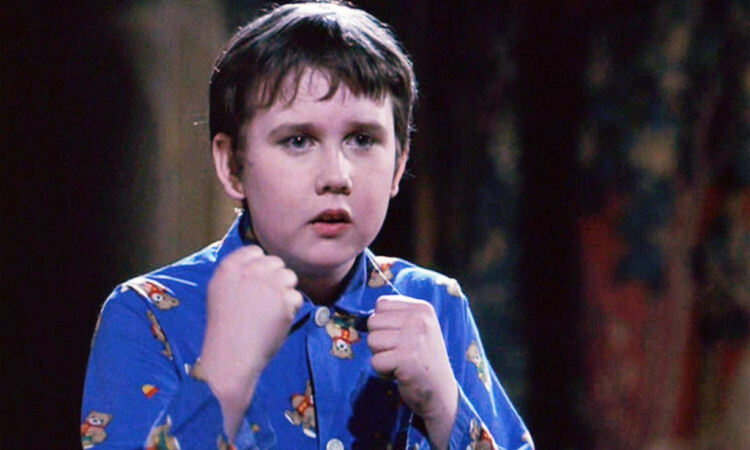 In the final film of the series Harry Potter and the Deathly Hallows Part 2, Neville is one of many allies for Harry Potter who stays to fight in the Battle of Hogwarts. His loyalty and bravery comes full circle when he Longbottom takes a heroic stand against Voldemort after Harry Potter is deemed dead. First seen as a boy scared of his own shadow, Neville comes in to save the wizarding world. Following the series conclusion in 2011, Matthew Lewis has gone on to work in other television show and films. Taking advice from fellow Harry Potter actor Jason Isaacs and Alan Rickman, Lewis has also tried his hand at theatre. When he's not acting, Matthew likes to lead a low-key life in his hometown. At the local pubs he's able to kick back with friends and family to enjoy games of rugby and football. His performance as Neville Longbottom in the Harry Potter series is one of many that are small on-screen but packs a fun punch. Happy Birthday Matthew Lewis! As Matthew Lewis grew up, false teeth, a fat suit, and larger ears were applied to his face for Neville's appearances in the film. His favorite football team is Leeds United. Before he got the part of Neville, Matthew would run around his house dressed up as Harry Potter. Though he wasn't bullied or shunned like Neville Longbottom was, Lewis was just as introverted. Felt like a big brother to fellow Harry Potter actor Emma Watson and admitted to Admits to acting as a boyfriend protector during the filming of the series. Favorite Beatles song is "In My Life"